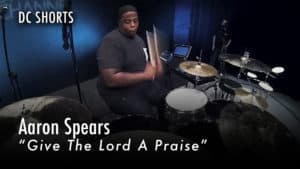 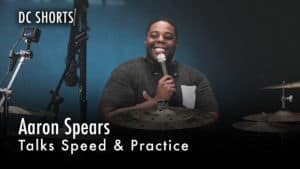 Winner of the 2006 Modern Drummer "Up and Coming" poll, Aaron Spears broke onto the national scene with the Washington, D.C. based jazz/R&B/rock group known as the Gideon Band (GB). 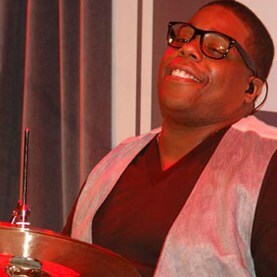 From there, Aaron has gone on to work with artists such as James Brown, Alicia Keys, Usher and the American Idol tour. 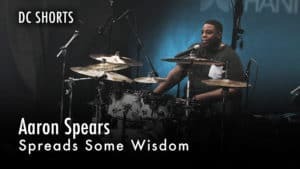 Aaron took some time off with Usher to share his philosophy and approach to drumming. 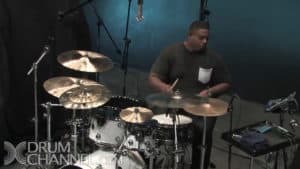 We see him play various styles in this DC Clinic.